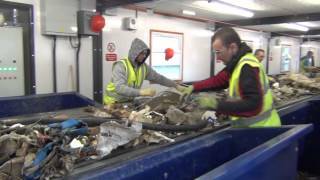 With over 140 waste systems installed UK wide, Blue Group are the leading suppliers of recycling systems in the UK. By utilising our vast experience and expertise, BlueMAC can tailor recycling systems around your specific waste streams to ensure maximum recovery of recyclable materials. At Blue our waste systems range in scale from entry level trommel systems for small to medium operators right through to multi million pound complex Material Recovery Facilities. From initial discussions through to design then installation, we will work with you throughout to maximise the potential of all site layouts. With operational safety paramount, your designated specialists will ensure the best system is designed and installed to ensure you have the optimum efficiency and maximum profits from your waste recycling system.